Earn up to 2,245 reward points. The CM-311A is the latest version of the Crowns proprietary Differoid technology. Differoid stands for differential cardioid. Its cardioid pickup pattern rejects sounds from the rear, such as floor monitors. Its noise-canceling ability also rejects sounds at a distance, such as instruments on stage and crowd noise. This results in the CROWN CM-311 having outstanding gain-before-feedback and isolation. Controlled field tests showed that the Differoid provides up to 12 dB more gain before feedback than conventional cardioid microphones. Many users of the Differoid say that their house mix is better because the mic's isolation is nearly complete. Designed for touring and live-sound applications, the Crown CM-311A is a rugged head-worn microphone with unequalled performance. It sounds like the best handheld microphones full, clear, and distortion-free, even with the loudest singers. Lightweight and comfortable, the mics headband and boom adjust to fit any singer. An included pop filter greatly reduces breath noise and pops. Because of the booms unique behind-the-ear design, it does not cover up the singers face. 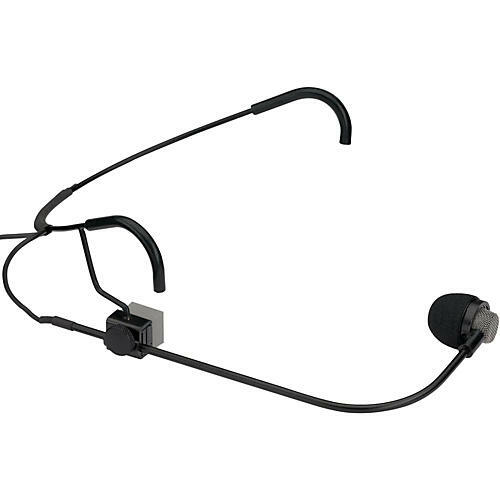 Order a headworn mic that sounds like the best handheld microphones.